OK so on this recent vacation, I couldn't resist crafting on the lake! 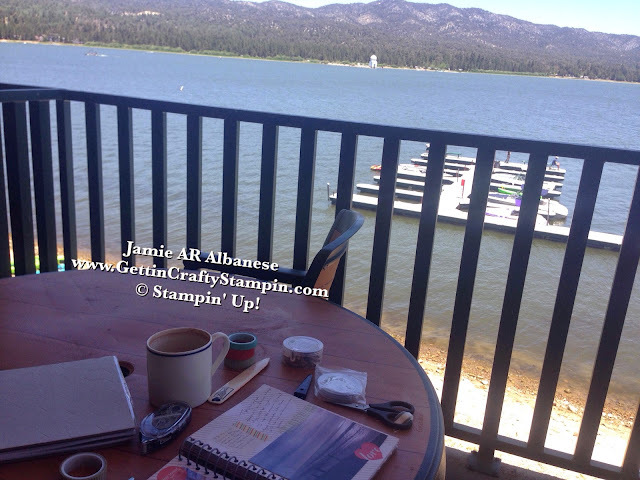 My Gettin' Crafty Stampin' business pays for my family's vacations... and we are often at Big Bear Lake. Crafting with this amazing view is simply stunning!! I couldn't resist catching up on some of our memories and getting them into books. The This and That books we offer are great ways for journaling, dream documenting (taking photos of your homes and desires and putting them down in a book), and Memory Celebrating!! 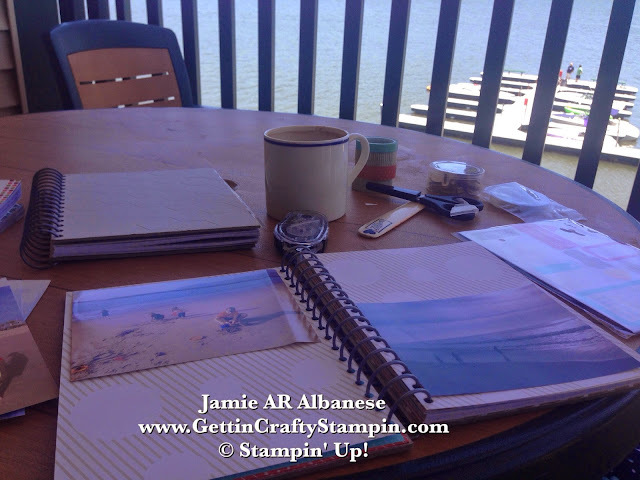 Join Me, here on the lake, as I journal and document some of our life in this easy and fun This and That book! Enjoying and Living our life... it's so important to me. I try hard to give my family memories that will strengthen and unite our family for many generations to come. 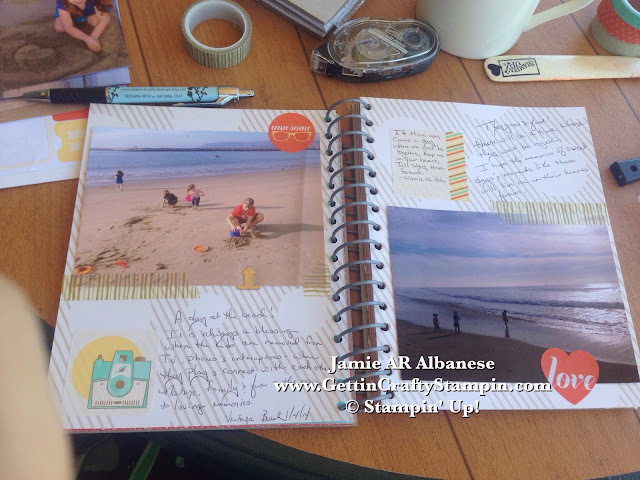 Documenting these memories needs to be quick, easy and fun - as a mom of 6 kids, a wife and a business owner... I don't have much time to spare!! Sigh... yes, this is the view from our deck! This is worth putting into a This and That Book - I may document what I documented - lol. Whipping a cup of coffee, sitting on the deck, the cool weather and breeze as the lake laps water just in front of me... sigh.. what a blessed life! THANK YOU for supporting my business and family. I enjoyed a morning of crafting with ladies here at our resort (I even taught a card making class today). Coming back, continuing to craft but with a focus on our family and life... it was easy and so refreshing. Traveling with the This and That books, coordinating Washi Tape, Designer Stickers... it is easy! With a car that was packed with family, luggage and fun - I am allotted a little space for my crafting. This travels well, I even keep a messenger bag with them in it and grab it when I know I will have a long wait at schools, parks, appointments (why do they make appointment times yet make you wait??). Sitting on our deck, traveling is easy with our books of pictures. With books that are date, time and location stamped, easy to use as they are perforated... they fit perfectly in my bag! I love my Groovebook App - see (below) how to get YOUR Book for FREE! I love this scene where I my kiddos are playing in the sand. They are growing so fast, these times are fleeting. With a home where I play referee, hearing them fight daily.. I love scenes where they are cooperating, playing together (in nature) and building up our family. These are precious memories! Here using the Essential Hardware to highlight their work-play... it's a fun accent to my page. The metallic gold Watercolor Wonder Designer Washi Tape makes for a pretty accent that coordinates with this golden beach. 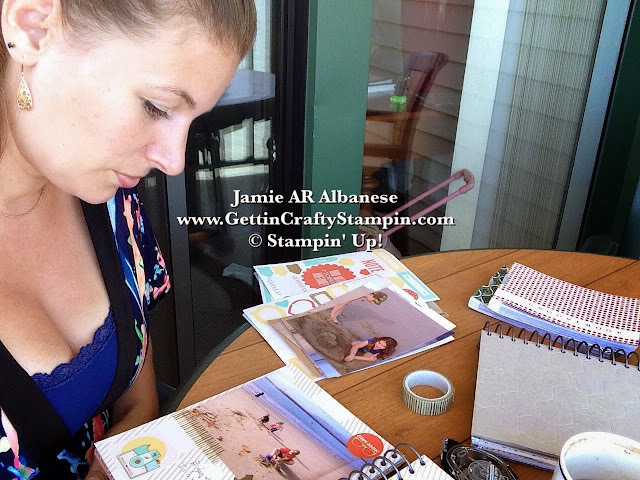 The fun Retro Fresh Designer Stickers coordinate with the books for easy and stylish crafting. They give areas for journaling, fun stickers that help hold the pictures to the page and all fit into the sleeves in the book. Adding this sweet Winnie the Pooh quote is a fun way to celebrate the togetherness of the family. It is AMAZING what you can do with the This and That books!! 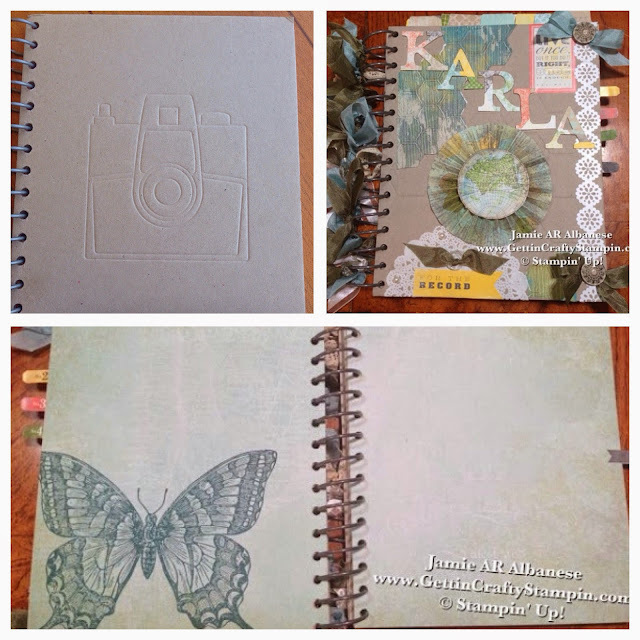 Their pages are pretty patterns that coordinate and make for fun crafting. 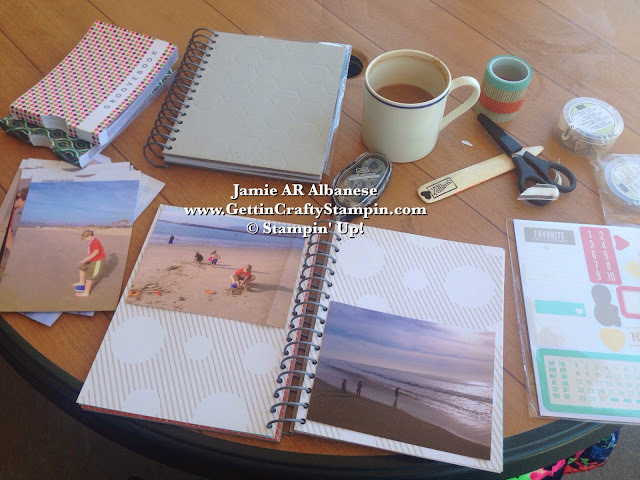 Adding stamps, pictures and more - creating a personalized book is a wonderful way to celebrate our life. 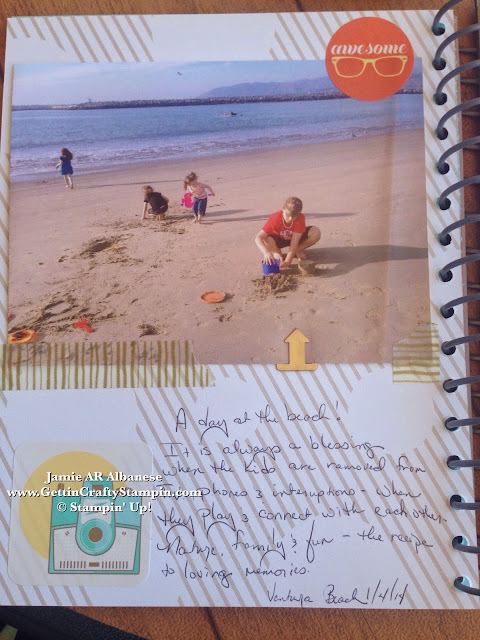 See this wonderful way to encourage your children's creativity and let them document and celebrate their memories and life!! 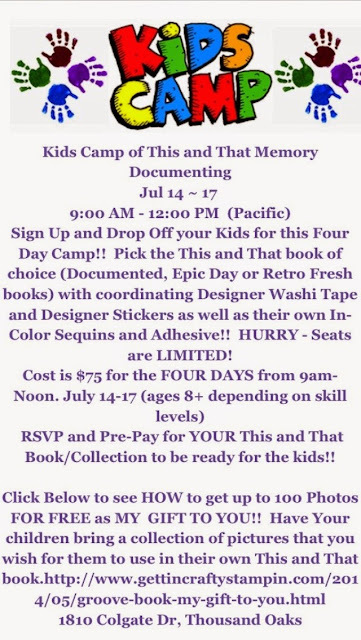 RSVP ASAP for YOUR Child's collection of their own This and That book - we will decorate and personalize their books and even add pictures that they bring. They will take home all of their supplies (used and not) for continued Memory keeping! 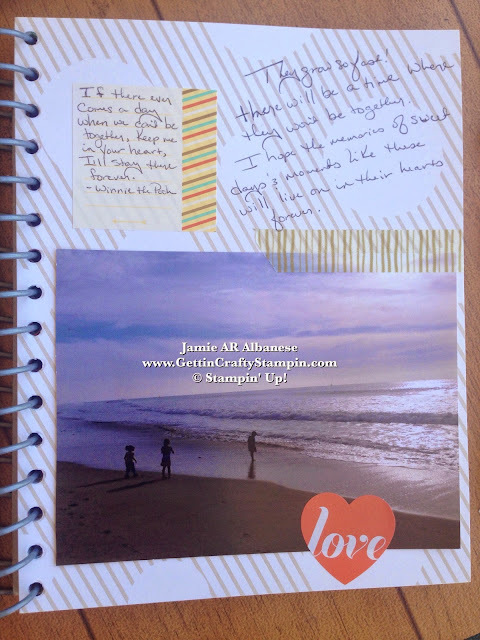 Take crafting, memory keeping and journaling where ever you go - even on vacation! What better setting than surrounded by family minus the distractions of home for Celebrating and Documenting our Memories! I hope that you enjoyed 'joining us' on this vacation at the lake. Finding reasons to celebrate is a fun way to be a mom, wife, sister and just-because! 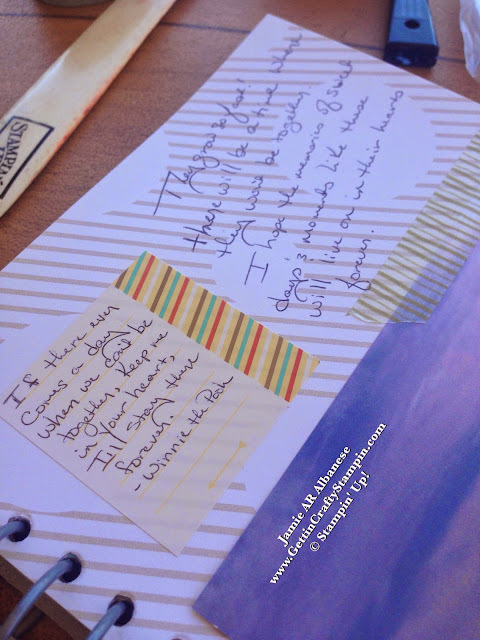 See more on why I love the This and That books and start your own collection!! Perfect for kids, teens, moms to grandparents... these books travel well and leave behind a legacy of love for future generations.